Commodity trading is a complex and diverse industry and even though a lot of people don’t realize it, physical commodity trading is a crucial part of daily life because it involves moving raw materials from the place of their production to the place of their consumption. When you decide to become a commodity trader, your focus is on investing in physical substances such as gold and oil. In most of the cases, these traders deal in the raw materials that are used at the start of the production value chain such as grains for feeding animals or copper for construction. Positions are taken by these traders based on the arbitrage opportunities and forecasted economic trends in the commodities market. Two of the most commonly traded physical commodities are gold and oil, but traders can also find markets for wheat, pork bellies, cotton, cattle, sugar, silver and other precious metals as well. 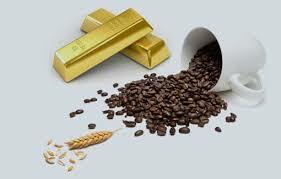 There are different types of commodity traders that can be found in the market. 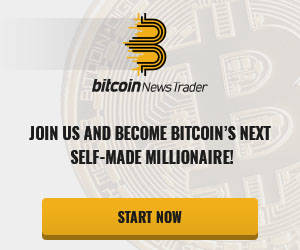 Some of these physical commodities traders choose to trade independently, which means that they operate on notable exchanges such as the New York Mercantile Exchange. There are also those traders who choose to work for large commodity producers that include international oil companies. As part of their job, these physical commodity traders have to get the best price for their producer and also simultaneously supply customers with competitive bids. 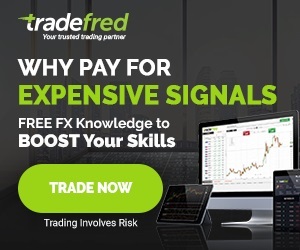 There are also other commodity traders who solely work as dealers-brokers and they are the ones who are employed by large independent companies thereby creating a liquid and deep international physical commodity market. The market also comprises of commodity traders who work as speculators and their aim is to make a profit on small movements in the price of commodities. In this case, the commodity traders don’t need to have the asset they are trading, but use future and forward contracts for gaining exposure. Therefore, they are not a part of the physical commodity trading market. They usually hedge contracts and it is a seldom occurrence that actual delivery takes place. When choosing to indulge in physical commodities trade, it is essential for the traders to react to the market moving events as quickly as possible. Some of the events that have the potential of impacting different commodity markets simultaneously include natural disasters. For instance, the supply of orange crops or sugar can be wiped out due to a hurricane and this reduced supply causes the prices to rise. Similarly, anticipation of construction costs and new build may cause the price of lumber to increase as well. Thus, it is vital for physical commodity traders to be quick enough to react to such quick changes in the market if they want to trade profitably. If the price has moved already, traders will not get a reward for slow reactions. Trading in the physical commodity market means that there are some limitations that have to be faced by traders. For instance, they are only able to generate when there is a movement in the price of the commodity they have chosen to trade. As compared to bond and stock traders, who are able to earn an interest payment or a dividend from the assets they purchase, such periodic cash flows are not something that physical commodity traders can expect. Thus, it means that if a positive return has to be generated through physical commodity trading, a trader needs to be certain regarding the commodity’s price direction. In contrast, a positive total return will be generated by a bond trader even if there is no movement in the price of the bond due to the periodic cash flow in the form of interest payments. It is a fact that whether it is metals, energy or an agricultural produce, almost all these commodities need to undergo processing for meeting the definition of final products. The change of value in physical commodity trading is quite complicated and participants from all over the world are involved in it. The diversity of the market cannot be denied either because it could be a huge, multinational company and also a small local operation. Developing advanced logistics can be useful in reducing overall costs because it allows traders to transform and also transport commodities at a lower price. However, process quality cannot be compromised because the products have to be made globally competitive. Physical commodity traders should know the factors that can have an impact on the price of commodities. Not only do they need to be aware, but should also be knowledgeable about how they can affect the prices. Two of the most important factors that can bring a major difference are inflation and variations in currency prices. Yes, it is a fact that bulk demand and supply of some commodities can have a major impact on their prices and traders need to take immediate action for avoiding problems. For instance, the price of crude oil can be impacted rather heavily by the inventory of the United States or by OPEC actions. Likewise, the prices of industrial metals are also influenced by the demand originating from China because they are responsible for 50 percent of the total worldwide global consumption. The purpose of implementing quality control measures is to ensure that the physical commodities that are delivered to the customers meet high standards. In this way, buyers are able to get their hands on top-notch products. While there are plenty of risks associated with physical commodities trading, you should know that these are also inherent in other forms of trading as well. As long as the above tips are followed, traders can learn how to begin trading in physical commodities.